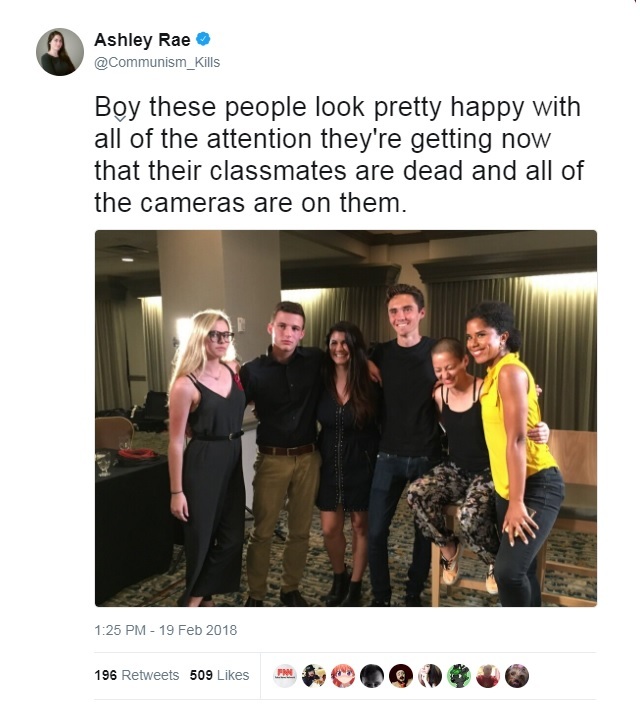 Florida school shooting survivor turned Resistance poster boy David Hogg said Monday on CNN that Donald Trump should be blamed for the shooting in Florida and not the FBI where his father used to work. A student who survived the Florida school shooting hit back at President Trump following the president’s criticisms of the FBI following the deadly shooting last week. “I think it’s disgusting, personally. My father’s a retired FBI agent and the FBI are some of the hardest working individuals I have ever seen in my life,” student David Hogg said during an interview on CNN. Another student, Emma Gonzalez, also offered praise for the FBI and criticized Trump for his attacks on the bureau. “The fact that he wants to discredit them in any way, that he’s trying to shift our focus onto them, is … it’s not acceptable,” she said. Indeed, can you imagine trying to blame the FBI when all they had to go off was a direct tip that one increasingly mentally ill “Nikolas Cruz” had a “desire to kill people,” wanted to shoot up a school, was amassing weapons and posted “I want to be a professional school shooter” on YouTube under his real name? Clearly Trump’s to blame here, because as the president he runs the FBI (just ignore all the headlines of the FBI subverting his presidency for the last 2 years). Incidentally, these Resistance leaders who falsely claim to stand for all students in America are pretty interesting folks. This clip of Hogg which is going viral is really getting folks’ noggins joggin (UPDATE: YouTube censored the clip for “harassment and bullying“). It’s almost as though victimization is our society’s new currency and social media fame is how you cash out? While these kids are claiming to speak for all young people, the polls show Gen-Z would have voted for Donald Trump, so to claim they speak for anyone but the lunatic left is completely false. Coach Feis was a Trump supporter who literally threw his body in front of these students to save their lives. Andrew Pollack’s daughter Meadow was also killed in this shooting, but when he was seen wearing a Trump 2020 shirt while holding a photo of his deceased daughter he was inundated with hate. If anyone could have stopped this shooting, it’s Mogg’s daddy’s FBI. Unfortunately, like Trump said, they were too busy wasting all their time investigating Russian trolls on the internet. There are actual issues we could be discussing if the left actually wanted to debate the current state of America, but they don’t actually care. They just want to claim gun control is a magic wand which can fix all of society’s ills. They know it’s a total farce but they don’t care as the left in America is nothing more than a hate movement intent on shamelessly exploiting every national tragedy for political gain.